Barbara Ann Grova is a graduate of the Institute for Integrative Nutrition which is affiliated with Columbia University. Barbara Ann Grova, INHC, AADP is a Certified Holistic Nutritionist and the Founder and Director of Nutritional Healing and Shrink Your Body, the holistic way(tm) in St James and East Setauket, New York. She is a writer, speaker, educator and soon to be author. Barbara Ann is certified by the American Association of Drugless Practitioners. She has over 20 years of experience in health and nutrition. What inspired Barbara to pursue holistic nutrition? Barbara Ann specializes in women’s health; weight loss, breast cancer, peri-menopause, postpartum, depression, anxiety disorders, migraine headaches, digestive issues and autoimmune diseases. She works with many clients with cancer to help them rebuild their immune system after treatment or keeping their immune system strong during treatment and supporting those clients that only want natural alternative treatments. 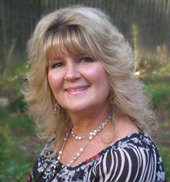 Barbara Ann identifies and analyzes Metabolic Type and Hormonal Imbalances. She provides a holistic (whole body) approach to designing an exclusive nutritional program and exercise guidelines for her clients: metabolism, body type, blood type, ancestry, health issues, and lifestyle. Barbara Ann has her own personal experience with metabolic disorders, hormonal imbalances, peri-menopause, and postpartum depression, which gives her the expertise and understanding to teach you how to bring your body back into balance. She has recently created a very successful weight loss and hormone balancing program called ‘Shrink Your Body the holistic way’ that she lost 45 pounds on herself while ‘kicking’ her carb and sugar addiction, balancing her hormones and staying sane all at the same time! No Counting Calories, Products, or Starving Yourself! Barbara Ann also specializes in Family Nutrition and works with parents that have children with behavioral challenges, ADD/HD, Aspergers, obesity, food allergies, crohns disease, celiac, eating disorders, body image, and self esteem concerns. More recently she has been working with parents concerned about their young adolescents that want to be vegetarians, she teaches the adolescents about the right foods to eat to support a vegetarian diet. She has experience with managing the nutritional and lifestyle needs of children going through early (precocious) puberty since her own daughter experienced this condition at age 6. Barbara teaches parents how to disguise healthy foods so their kids will eat them! Barbara Ann was a vegetarian for over 4 years and knows how to support those interested in a vegetarian or vegan diet. The program she designs has to fit who YOU are and be integrated into your life. As you hit lifetime milestones or diet plateaus, Barbara will redesign your program to adjust to your changing needs so you continue to Optimize your results from her plan for a lifetime. Barbara Ann offers many different options for Individual and Group Weight Loss, Nutrition, and Cleansing Programs. For more information about her education, please go to IntegrativeNutrition.com. One of the top 25 Women on Long Island to receive an ‘Outstanding Achievement’ award Nominated by Business and Professional Women of Deer Park. Member of the LI Center for Professional and Business Women. Member of The Long Island Way, non profit. Member of the Long Island Works Speakers Bureau. Student Mentor for 14 students for the Institute of Integrative Nutrition, 2006-2007. Graduate of the Institute for Integrative Nutrition’s 2nd Year Immersion Program, 2007. On the Board of Directors for Le Tip International. On the Board of Directors for SCWBEC, Suffolk County Women’s Enterprise Coalition. Committee member for the “Spring into Business” Trade Show. Committee member for the ‘SCWBEC Member Tea’ Luncheon. Member of AHHA, American Holistic Health Association. Member of EEWN, East End Women’s Network. Member of the Ronkonkoma and Holbrook Chambers of Commerce. Nutrition Committee, Connetquot School District, Ronkonkoma, NY. ‘Ask the Expert’ for the Protect Allergic Kids (PAK) website. Religious Education Instructor, Ronkonkoma, NY. Key Volunteer, Committee for ‘Blind Wine Tasting Gala’ fundraiser. Participating vendor at Stony Brook University, Fitness-A-Thon and Wellness Expo. African Child Sponsor through World Vision, Senegal, Africa.